Welcome to Dell Laundromat, we’re located in the heart of Southport with easy parking right outside. 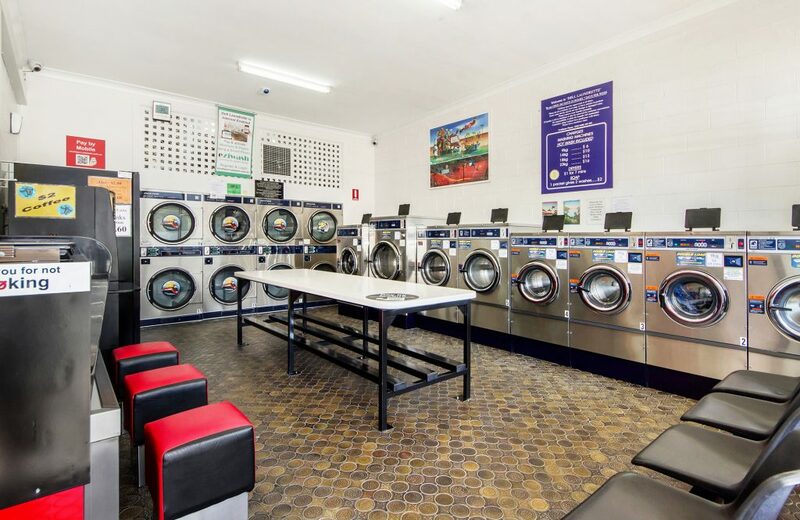 A self service laundry open 24 hours a day, 7 days per week enabling you to do your laundry anytime you want with the lowest possible cost. We have 8 washing machines 9kg to a massive 23kg express. Drying is fast with 8 X 13kg natural gas dryers. All machines take $1 & $2 coins, Credit card, PayWave, and Apple Pay. There is a note change machine on-site. Soap and softener are all available. Free Wifi and in shop entertainment, you will be done and dusted in less than one hour! Food and Drink Vending machine facilities available so you can snack while you wash.
Hi-Speed internet Kiosk with printer. Check your Facebook, catch up on some study and leave us a review!